MIDI protocol has been introduced in 1983 and has reinvented the wheel in music production process. The technology is maintained by MMA (Midi Manufacturers Association). 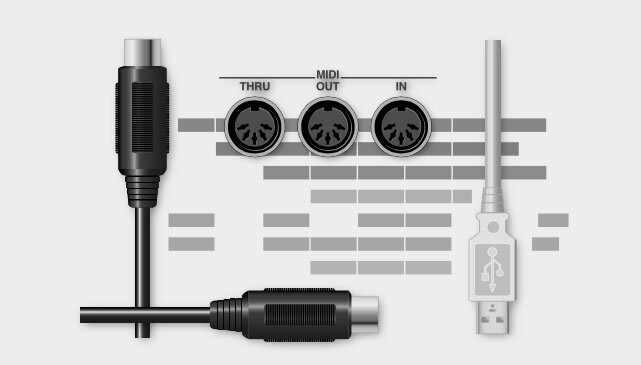 All official MIDI Standards are developed and published by Midi Manufacturers Association in Los Angeles, California, USA and Midi Committee of AMEI (Association of Musical Electronics Industry) for Japan. was added in our Music Production Glossary Database on September 1, 2012 and it has received till now 324 views. The article tries to bring you an idea of what is "MIDI", or at least, a definition of the term: "MIDI".